Affordable Scarves carries only the best brands and models of discount scarves on the market, all under $40!!! If you're shopping online for women's or men's scarves for this current snowy and cold season, then they have what you're looking for! They are committed to offering you the finest scarves at great prices while providing exceptional customer service. 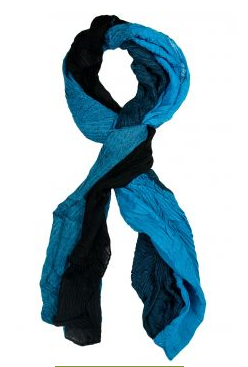 I absolutely love their selection of crinkle scarves! My favorite is my new Gretchen Colorblock Crinkle Scarf! Add a pop of color to your outerwear look with the Gretchen Colorblock Crinkle Scarf. This lightweight scarf has a colorblock design that mixes bright and neutral hues together for a trendy look. The crinkled texture and extra long and wide design make the Gretchen easy to drape and wear - however you wish! I have recently turned into a HUGE scarf lover...especially with the cold weather here! Scarves can be paired with anything - dressed down with comfy clothing just to stay warm or dressed up for a night out! This super colorful and cute crinkle scarf adds a pop color to many of my outfits! It looks great with a black top or with dress clothes! Sometimes, I feel like I may wear too many dark colors (too slim the pregnant belly down! ), so I love that this scarf adds a pop of color! It is great for brightening any cold, snowy day! Once again, Affordable Scarves comes through for me and has such an amazing selection of trendy and fashionable scarves - at amazingly low prices! If you want to get some new scarves or brighten your wardrobe, then make sure Affordable Scarves is your first stop for scarf shopping! Buy It: You can purchase the Gretchen Colorblock Crinkle Scarf for $14.41 on the Affordable Scarves website. 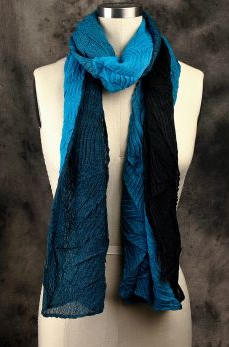 Win It: Affordable Scarves is generously offering (1) $20 gift certificate to a lucky winner! These are so cute! Thanks for the giveaway.